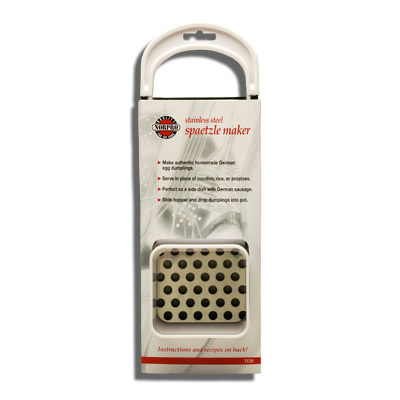 SPAETZLE MAKER WITH PLASTIC HOPPER | Bende Inc.
Spaetzle Maker with Plastic Hopper. Make authentic homemade German egg dumplings. Instructions and recipes included.